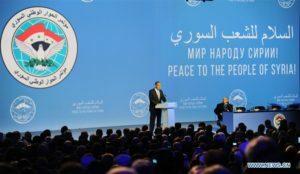 The Syrian National Dialogue Congress, kicked off in Sochi on January 29 with pro-Assad delegates dominating the event. The dialogue brings together 1,500 pro-regime delegates and few opponents of the Syrian government. A key delegation of the armed opposition had arrived in Sochi, the venue of the Congress, only to refuse to leave the airport. They had taken offense at the event logo, plastered around town, which used the flag of Bashar al-Assad’s regime in isolation. The delegation demanded that the Syrian regime’s flag be removed for negotiations to start. According to Russia, the Congress was designed to unite Syria’s many warring parties around a single post-war settlement. Critics of the talks pointed to the absence of much of the armed Syrian opposition and Kurdish groups, who stayed away. Analysts see the dialogue as reflecting a Russian endeavor to replace the United States as the most engaged global power, while reshaping the diplomatic process to fit the military and political reality: President Bashar al-Assad’s opponents have failed to unseat him. No one expected Sochi to produce a peace agreement. 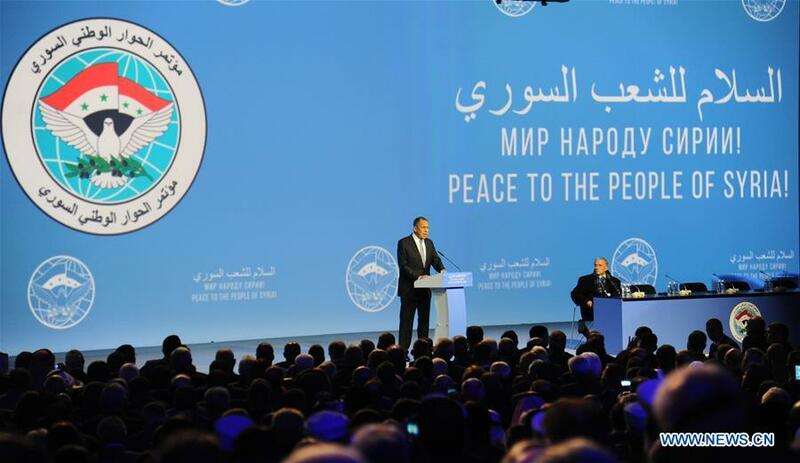 Instead, Sochi was supposed to broaden the range of Syrian voices in the talks, and it did draw in some civilian, nonviolent dissidents and officially tolerated opposition groups based in Damascus. Perhaps the most consequential negotiation in Sochi was between the United Nations and Russia. The United Nations agreed that its Syria envoy, Staffan de Mistura, would attend, lending Sochi credibility, if Russia would stop trying to make Sochi, not Geneva, the site of discussions for rewriting Syria’s Constitution. Written by: Peter Mulvany on January 31, 2018. Posted by Peter Mulvany on Jan 31 2018. Filed under Headlines, World News. You can follow any responses to this entry through the RSS 2.0. Both comments and pings are currently closed.